Here's another car that I did while I was up in norcal doing some vinyl wraps. This car was around the Hayward area. 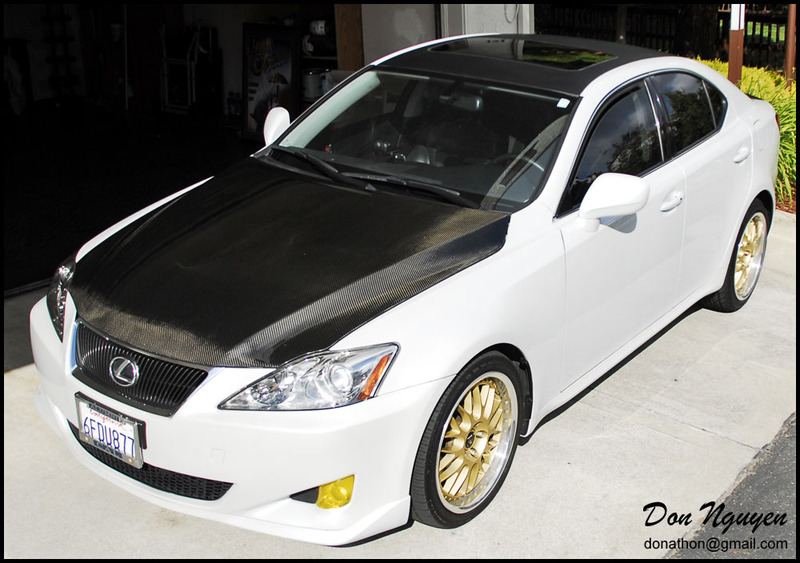 The car is a white IS250, and I did his roof in the 3M 1080 gloss black carbon fiber material. 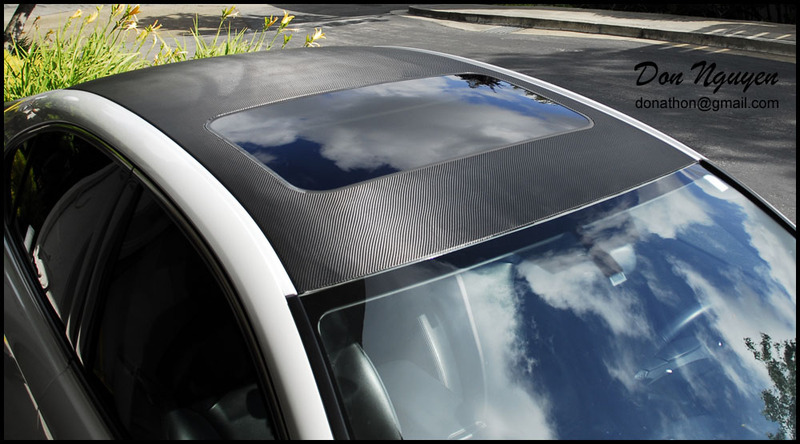 It was the first car that I actually had used the material on for the roof. These pictures will also give those who have other cf parts a good idea of how the carbon fiber 3M 1080 vinyl looks compared to it. Don't mind the uneven marks, those were just water streaks from when I wiped the roof down in the heat. The camera picked those up more than how it looked like in person, or else I would have cleaned it better.